Welcome Oakland Diocese pastoral leaders! 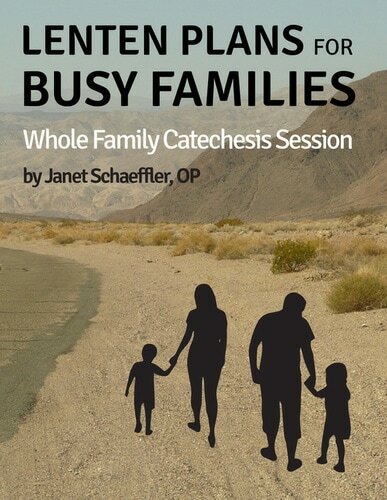 At the May 16 workshop we heard some great insights into evangelization and the need for whole family catechesis. Our team is right here in the Oakland Diocese and we'd love to help you take steps toward engaging and evangelizing our faith communities, especially whole families. We're happy to coach you by phone, speak at a parish/deanery/diocesan level, or direct you to many helpful resources. For those of you who don't yet know us, The Pastoral Center a small family-owned ministry center and publisher based in Alameda. As "pastoral ministers helping pastoral ministers," we develop and gather practical pastoral resources for Catholic leaders in the English-speaking world. You can peruse our web store to see some of our offerings. ​My wife Ann Naffziger and I direct the Pastoral Center, and come with decades of ministry experience in the Oakland Diocese. Ann received her MDiv. from the Jesuit School of Theology in Berkeley, and also serves as RCIA director at Corpus Christi Parish in Piedmont (she has been on staff at three other parishes in the diocese). I received my M.T.S. from the Franciscan School of Theology (formerly) in Berkeley. Learn more about us here. ​We also have a great team of pastoral leaders from across the country who serve as authors and help us publish resources that usually originate in local parishes. 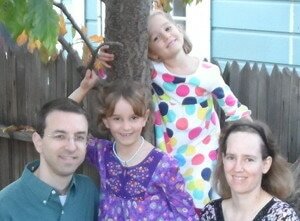 GrowingUpCatholic.com is our ministry focusing on whole family catechesis, where we have been a leader for many years. Our previous director, Bill Huebsch, gave a whole family catechesis workshop here in the Oakland diocese back in 2004. We have a wide variety of resources to help you coach parents​ to pass on ​faith to their children. I have spoken about this ministry at the Faith Formation Congress and the Los Angeles Religious Education Congress. We have many resources to help you move toward a whole family model without necessarily completely switching to a whole new approach (you may not be ready for that yet!). Many parishes start with our popular First Reconciliation and First Eucharist preparation process. We have great resources for holding whole family events from a couple times a year up to once a month up to weekly. We also have tools to help parents meet and talk about parenting issues while their children are in class and simple, short handouts "for busy parents" that you can send home. 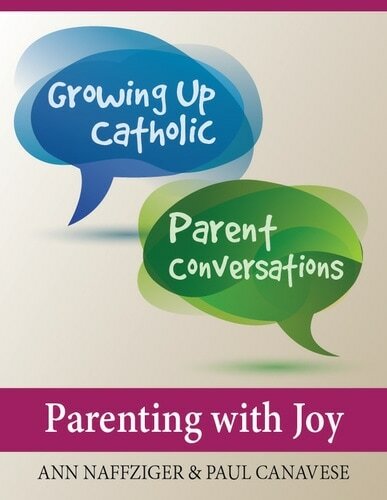 We feel it is essential that we evangelize and coach parents, helping them actually practice talking to their kids about faith in a parish setting. When we tell them what to do and just send it home, it is far too often forgotten in the busyness of family life. We've found that once parents start experiencing how to share their faith, they begin to appreciate it and become self-motivated. We create tools with this in mind, and it works well. We offer a free downloadable "Why Coach Parents?" resource kit that includes free leader handouts, parent handouts, and even a presentation you can give to leaders in your parish. Some of the short handouts are a great way to introduce your pastor, staff, catechists, or other leaders to this approach. Just add the item to your cart and check out (no payment required), and we will send it out to you by email. We also have a "Growing Up Catholic" monthly email list for our community of leaders who are trying to engage parents in their communities. Sign up to stay in the loop on new resources and insights. Six sessions on each sacrament, which you can get parents to commit to. Parents sit next to their kids and teach them (while learning themselves) in a parish setting. Based on reproducible handouts instead of textbook-based, making them affordable and not intimidating. These sessions evangelize parents and kids as well as teach. Flexible, options you can mix and match: offer every week or once per month. These resources are built for parent involvement and engagement. Most of all, these will help you plan fun and engaging events. Excellent baptism preparation that engages and evangelizes parents where they are at. Resource kit for keeping in touch with and coaching parents after the baptism through mailings. Great books for the first years of parenting, perfect for a book group. Wee Wonder curriculum for two-year-olds and parents, to help them start sharing faith. Gather parents in a separate room while their kids are in class. Options for both practical parenting issues and doctrinal issues. Down-to-earth approach that meets parents where they are at and doesn't intimidate them. "On the Run" reproducible leaflets that coach parents without overwhelming them. Our simple Mass Transit Cards help families discuss the Sunday readings on their way to and from mass. Hold a drawing with completed cards each week in class to encourage use (it works!). Many other booklets and books. Pope Francis says we need to learn to accompany others through the challenges of life, especially those far from the church. Learn what this means and how we can better do this as leaders. We carry the titles from three popular leadership book series encouraging evangelization and forming missionary disciples in parishes: Rebuilt, Divine Renovation, and Forming Intentional Disciples. They are all excellent and essential reading for pastoral leaders today. We recommend using the Sanctus Retreat Kit to hold ongoing monthly retreats for all parishioners to evangelize them and have them continue to draw closer to Christ and living our the Paschal mystery. Need Help? Want to Talk Any of This Over? We're always happy to chat, and we offer free pastoral coaching by phone. Call us at the phone number below or email us at resources@pastoralcenter.com. ​We hope the above resources can serve your ministry well. Thanks for all you do as a parish leader. It's really an honor to work with pastoral ministers like you!